Description: Workers load finished bricks onto waiting trucks so they can be transported to local construction sites. The brick factories of Sa Dec pump clay and water from the Mekong river, which they form into molds before firing them in kilns fueled by rice husks grown from river water. 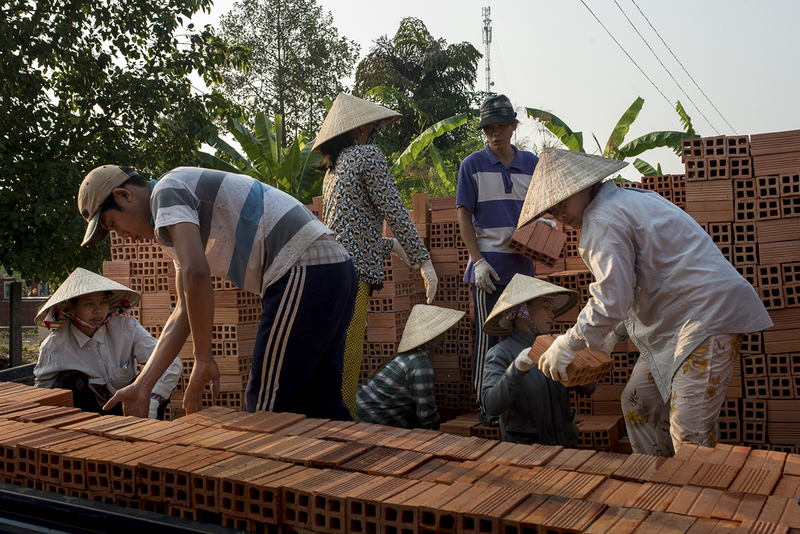 Caption: Workers load finished bricks onto waiting trucks so they can be transported to local construction sites. The brick factories of Sa Dec pump clay and water from the Mekong river, which they form into molds before firing them in kilns fueled by rice husks grown from river water.